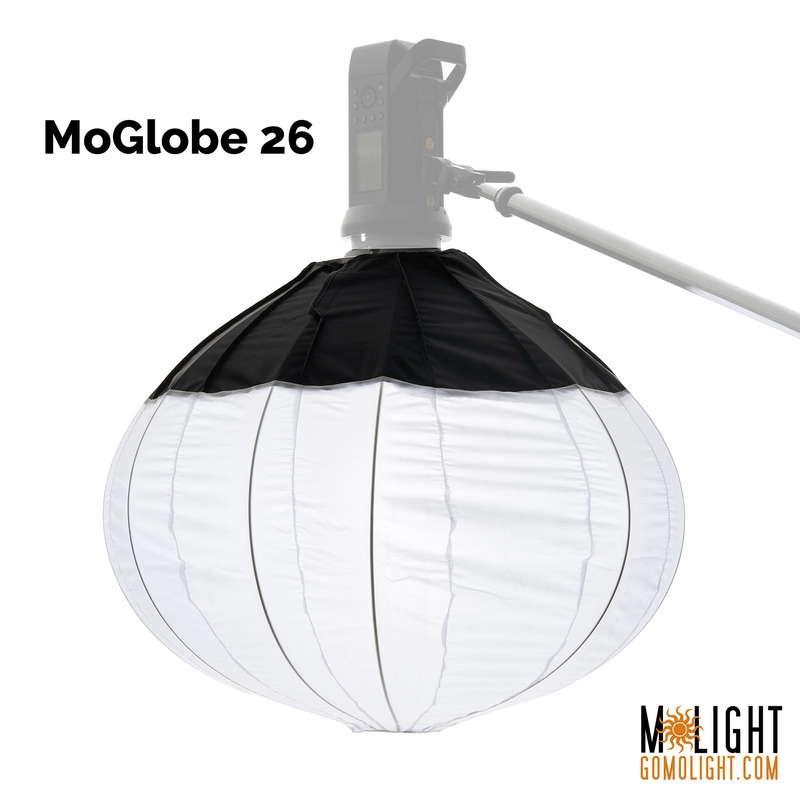 Portable, powerful, flexible location lighting at a great value! 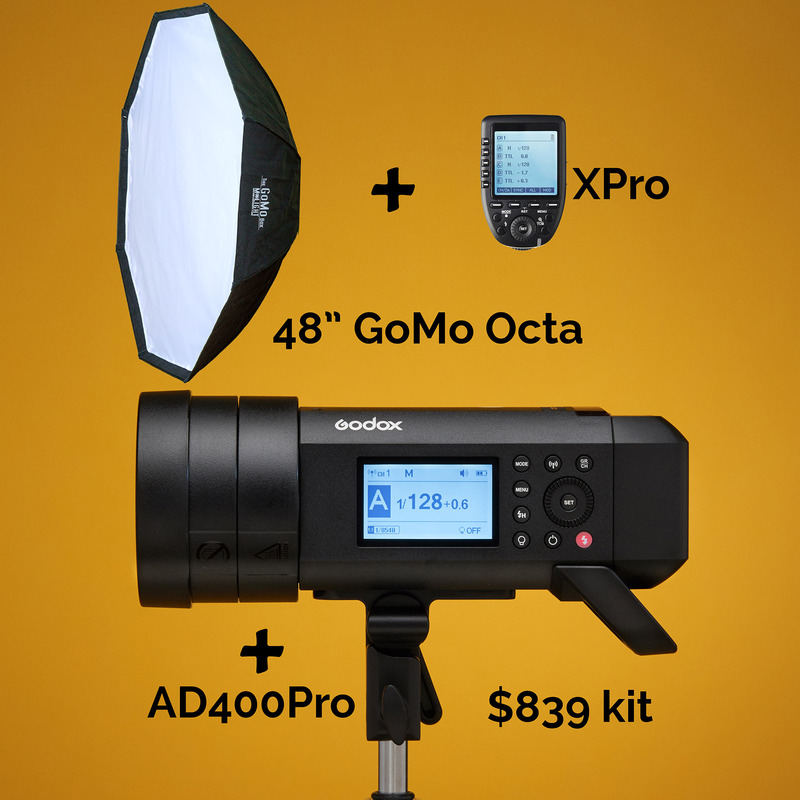 This awesome kit gives you everything you need to rock one or two light setups on location. 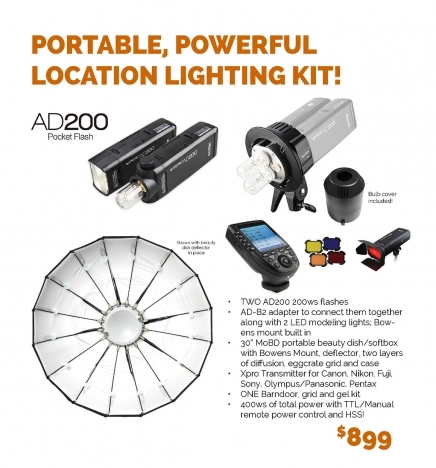 Combine two 200ws AD200 pocket flashes with the AD-B2 bracket and you get one single 400ws flash with HSS, TTL, Manual, two LED modeling lights, and a Bowens mount! 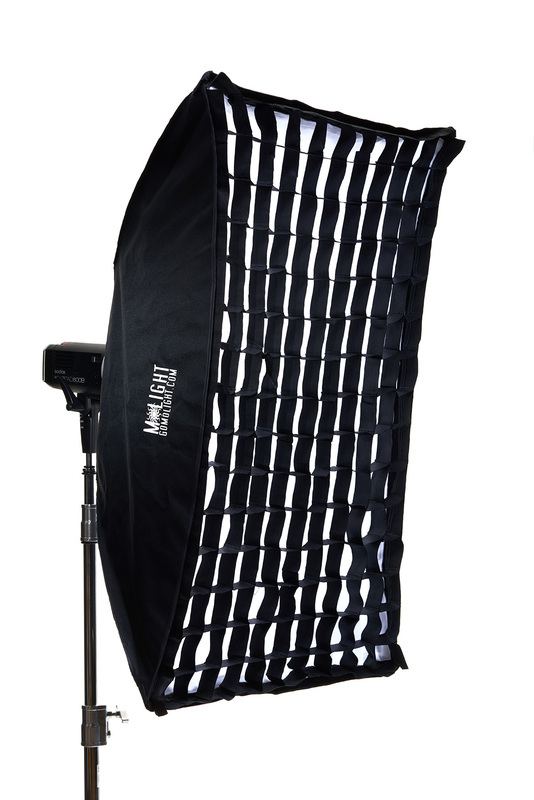 To this we add the popular MoBD 30" beauty dish/softbox hybrid, the incredible new Xpro transmitter, and the innovative snap-on barndoor, grid, gel kit. 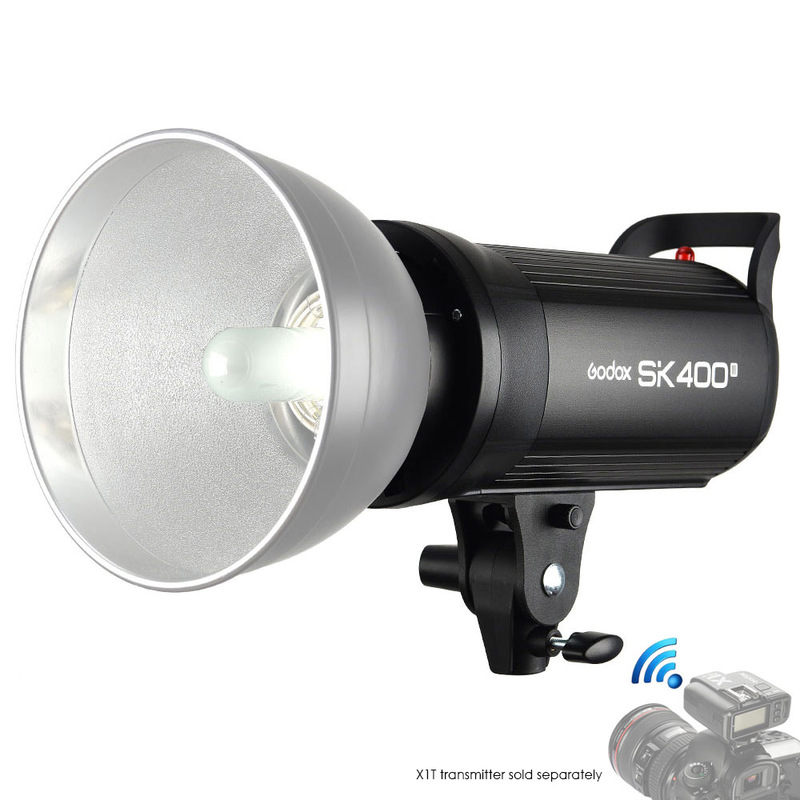 Use the two AD200s together as one unit, or split them apart for a two-light setup, giving you the ultimate in flexibility and portability! 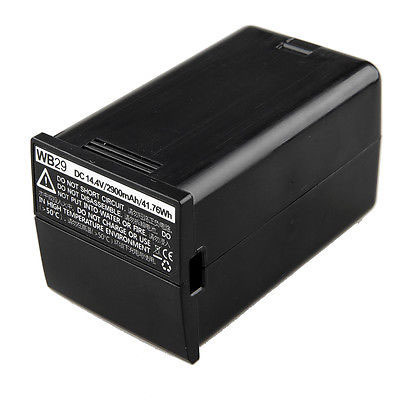 400ws of total power with TTL/Manual remote power control and HSS! Please indicate which Xpro transmitter you need in pull-down menu.